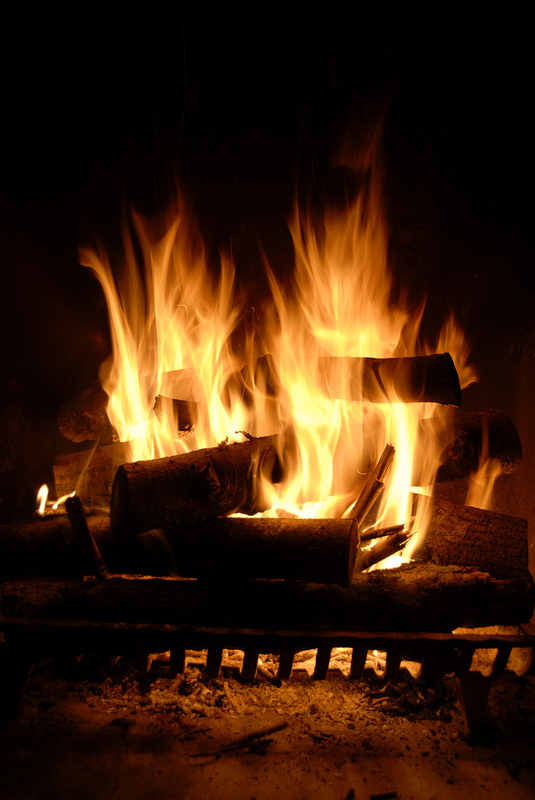 So as another year draws tantalisingly close to an end, it’s time to get the chestnuts roasting on an open fire, get stuck in to that bottle of Port, and recline in my armchair reflecting on 2011. What a momentous year, with the global political and economic reverberations still echoing around the planet for some time to come. Radio continues to play its part in the media mix, and is standing up well compared to some of the other ‘traditional media’, like press, who are having to face some difficult decisions about their businesses. But the coming year will no doubt bring its fair share of challenges for radio. In the UK, radio listening remains phenomenally strong with over 90% of the population tuning into radio every week – still a remarkable statistic. And in June this year, we found out what people working in the industry have known for some time... that radio officially makes you happy! They did some science to prove it too, so it must be true!! The debate about digital seems to have moved to a new level too with many seeing that a mixed ecology of listening platforms is a viable proposition (if distribution costs find a new equilibrium). It works for TV in the UK, and no-one seems to complain too much. In 2011 we had some great radio conferences to feed our continuous thirst for insight; Radiodays Europe in Copenhagen was excellent, and I’m looking forward to seeing everyone in Barcelona in a few months time. I took some time out to study the market in LA while I was at the Worldwide Radio Summit at the end of April, and found the differences between Europe and US more stark than ever. And we welcomed a new kid on the block, Next Radio debuted in London in September and was a refreshing change in format, focusing on creativity and content. We look forward to its return in 2012. This year, we also welcomed Radioplayer and since its launch, it’s nearly doubled the number of services on it, and launched apps on Google and Facebook. Continuing to make radio ‘easy to listen to’ is essential for the medium to retain relevance, and it’s something that the team at Radioplayer will continue to ensure moving forward. Content and programming-wise, the battle for the number 1 commercial station in London continued with Capital and Magic being the main protagonists, and Capital had its fair share of industry headlines... first with networking, which caused much discussion at the time, but less than 12 months on, is seen as an accepted norm. They also dispensed of the services of one Mr J Vaughan of the Borough of Chelsea, and will replace him in January with a Mr D Berry of the Borough of “Really... Are You Sure?” I expect some churn in the market! Absolute 80s became the biggest commercial digital only station, and I even dusted off the headphones and had some fun in the studio for a few months. Unfortunately, there’s not really time to continue with Cafe 80s in 2012 as I’m launching a new company in the New Year... but more on that in January! As the sweet aromas of Frankincense, Myrrh and Waitrose’s rather excellent ‘Mulled Wine’ recipe drift across the office, and the sound of Christmas carols echo from the village Church, it’s time to put away the passport for a few weeks, and indulge in a little festive break.... which mainly involves sitting by the fire. I continue to get the chance to work with brilliant clients all around the world, who are fantastic radio professionals. Thank you for the opportunity to work together, and I look forward to a creative and successful 2012 with you. I will find myself engaging with new markets and new stations in the New Year, which is always something I relish. But if we haven’t worked together yet, do get in touch if you think there’s a project we might collaborate on in 2012. 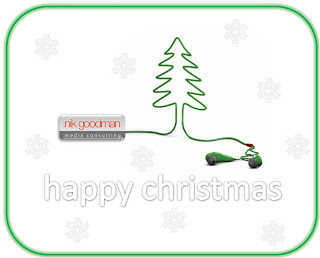 So, may I wish all readers of the blog, a very Happy Christmas and see you all again in 2012. Radiodays Europe 2012 - 'The Hitman' in Barcelona! Radiodays Europe takes place in Barcelona on 15th / 16th March 2012, and I was pleased to be asked to produce a session for the conference, which has rapidly become the meeting place for those working in radio in Europe. Rather than put together a very traditional 'radio' session, I wanted to look at the changing nature of the relationship between radio and the music industry. For decades, the music industry relied on radio as one of its main sources of promotion. Those days are gone. So how is the new relationship between radio and the music industry being forged, and what can we learn from the past? One person who has 'been there' and 'done it' and understands how the music industry works, and how it interacts with radio is Pete Waterman. Pete Waterman is a pop music icon. 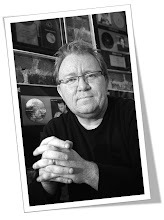 As the force behind the ‘Stock Aitken Waterman’ team, Pete had massive success during the 1980s and 90s launching the careers of artists like Kylie Minogue and Rick Astley, and he shaped the sound of a generation. Stock Aitken Waterman are considered to be one of the most successful song-writing and producing partnerships of all time, scoring more than 100 UK top 40 hits, and selling over 40 million records worldwide. 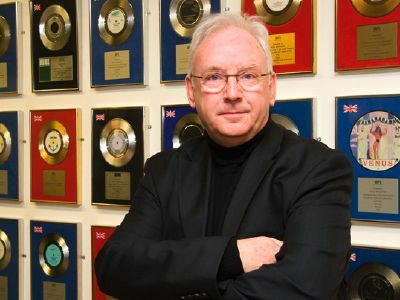 Pete Waterman has a unique perspective on the record and radio industries. In the late 80s, at the height of his success he even had his own radio show on Radio City in Liverpool, where he debuted all his latest songs exclusively every week, plus he still presents a weekly radio show on Smooth Radio. In this session at Radiodays Europe I'll be 'in conversation' with him. He’ll share his thoughts on where he thinks the radio industry is going, what the future is for the record industry, and how to two industries can move forward together. And of course, I'll be asking him about all those great hit record he produced! 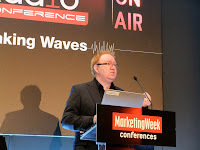 Never shy to give an opinion, this session will be a ‘must see’ for those attending Radiodays Europe, and I'm delighted Pete has accepted the invitation. Congratulations to Dave Berry who has today been announced as the new host of the Capital Breakfast Show, to work alongside Lisa Snowdon who’ll continue in her role as co-host. This isn’t really a great surprise, as he’s been hosting the weekend breakfast show for some time, and the fact that Capital were ready to announce someone only weeks after Johnny “left”, always pointed to the fact that it was going to be an internal appointment. Is it a good move? Well... there’s no doubt that he has some traction with the younger end of the market through his TV work on E4, MTV etc... but as one of my late ’30-something’ friends tweeted to me today... “I’ve never heard of Dave Berry”. Capital’s total audience has always been propped up by a chunk of older listeners that were almost there by default. This was good for overall reach. Increasingly, as the station has moved a lot younger, the output has become less appealing to those listeners. For some, Johnny Vaughan may have been the last reason they had to listen to Capital FM. Dave Berry may not interest them, as they have no reference points for him. He just isn’t on their radar... at all. And this may well be a deliberate strategic attempt by Capital to move those listeners on... ideally for Global, to Heart. It’s interesting that Capital didn’t take their time and try and secure someone with more media equity. E.g. someone off the TV... a comedian... someone from Radio 1 etc. There were rumours about Scott Mills being approached, but I’m guessing he’s becoming more and more ‘embedded’ with the BBC (with additional TV work etc), so perhaps he didn’t want to upset Auntie too much. I can understand that, although I think he would have been fantastic at it, and done a ‘real breakfast show’... if you know what I mean! Will it matter that Capital doesn’t have a particularly high profile male host? Probably not, although it will certainly be harder to drive new listeners to the station based on the personalities. I wonder if they'll market the breakfast show, or just the station now? Lisa Snowdon is certainly the highest profile host on the station now... and she’s sounding great in the role too. I’m glad she’s sticking around. It feels like Capital have taken another step in becoming a pure music-driven brand, with little more to offer other than a slick format, occasional big (and excellently done) events and a contemporary sound. They don’t even feel particularly connected to London when I listen to be honest with you. In a world where music (and easy access to it) is now ubiquitous, will "the Capital brand" be enough to drive younger audiences long-term, or will listeners find substitutes that are as good at providing music content as Capital are? Or perhaps even better? I still believe that the ‘stuff in between the records’ is becoming more important than a well-packaged, tight rotation of current songs, particularly at breakfast time. Will Dave Berry provide standout content that will make Capital Breakfast a must-listen with ‘decade defining’ cultural moments, such as Chris Evans did on the Radio 1 Breakfast Show in the 90s? Or will he simply blend into the background noise of an exceptionally well-produced CHR music format? We shall see. I wish him and Lisa the very best of luck.